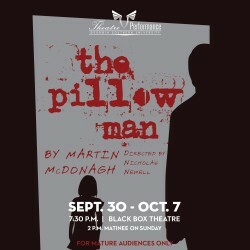 The Theatre & Performance program at Georgia Southern University will open its 2015-2016 season on Wednesday, Sept. 30, with Martin McDonagh’s “The Pillowman,” winner of the 2004 Laurence Olivier Award for best play. With echoes of Stoppard, Kafka and the Brothers Grimm, “The Pillowman” centers on a writer in an unnamed totalitarian state who is being interrogated about the gruesome content of his short stories and their similarities to a series of child murders. The result is an urgent work of theatrical bravura and an unflinching examination of the very nature and purpose of art. 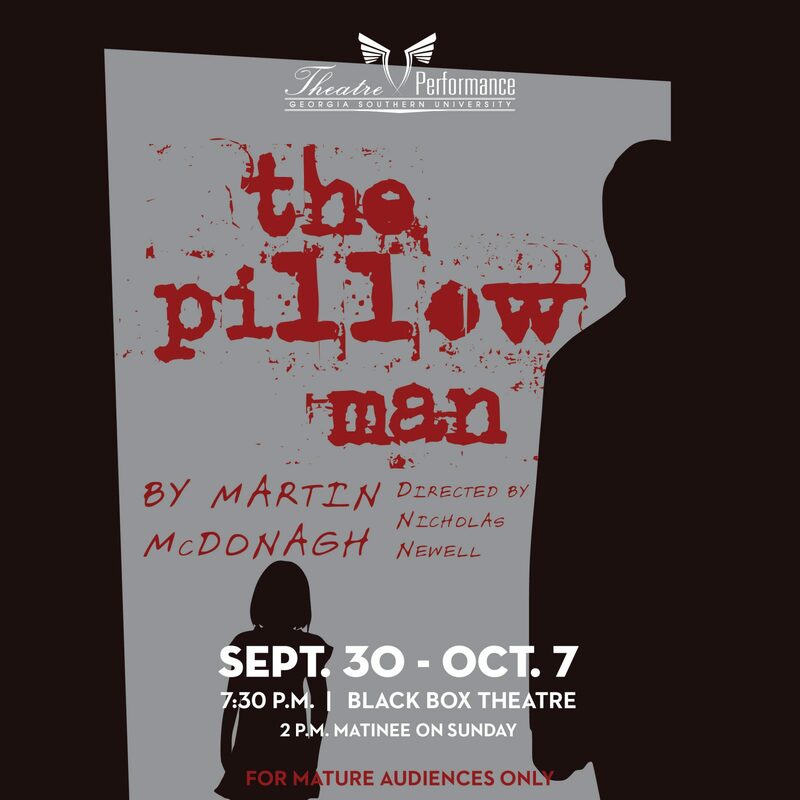 Directed by Nicholas Newell, “The Pillowman” explores the darker side of humanity and creativity bringing to question the freedom of expression and role of art. As his farewell performance on the Georgia Southern stage, senior Greg Hernandez will take on the leading role of Katurian, originally played by David Tenant. 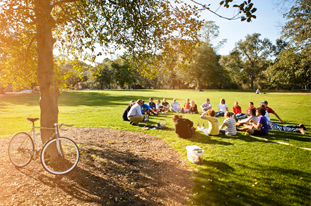 The University’s Theatre & Performance program has a long-standing reputation for excellence in artistic achievement among industry professionals. While studying theatre at Georgia Southern, students have the opportunity to perform, design and direct in two state-of-the-art performance facilities: The Performing Arts Center and the Center for Art & Theatre. 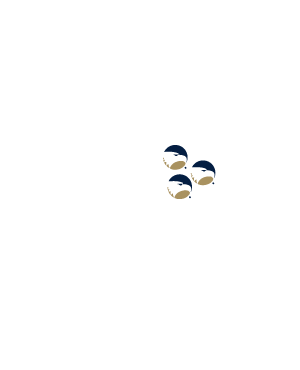 Theatre & Performance productions are sponsored in part by student activity fees. “The Pillowman” runs through Wednesday, Oct. 7, in the Black Box Theatre at the University’s Center for Art & Theatre, 233 Pittman Drive. All shows begin at 7:30 p.m. with a matinee performance on Sunday, Oct. 2, at 2 p.m. The theater will be dark on Monday, Oct. 5. Student and youth tickets are $6 each. The play is recommended for mature audiences because of language and content. Faculty, staff and community tickets are $12. All seating is general admission. The house opens at 7 p.m. and audience members are encouraged to arrive no later than 7:15 p.m. to ensure good seats. The balcony will serve as overflow seating. Call the box office at 912-478-5379 to make reservations. Reservation requests can be left on box office voicemail 24-hours a day. The box office is open for ticket purchases, Monday through Friday, from 3 p.m. to 5 p.m., and reopens at 6 p.m. on performance days.